I have a small confession. I adore sour cream. I love it on baked potatoes. On a taco paired with guacamole and salsa is a personal favorite. Dipping chips in sour cream laced with onion soup mix or ranch seasoning ranks up there too. Oh, and I can’t forget the potatoes wedges. You might even call me a junkie. I have been accused of using my chip or taco or potato as a mere conduit for the sour cream. However I was sans sour cream one chili evening and that was just not going to do. Not so long ago, I had a powerful craving for cucumber and onion, which calls for a mix of half and half with vinegar and sugar. Only challenge was I was out of half and half. What I had was heavy whipping cream. As I mixed my vinegar and heavy cream, I noticed that it was thicker than my normal mixture. So without my much needed sour cream, I took advantage of my missing ingredient mishap and made my own homemade sour cream. With a little experimenting, I found that for every cup of heavy whipping cream add two to three cap full (about a teaspoon each) of good ole white vinegar. Start with two. Always easier to add more than take away. Whisk the two ingredients together until nice and thick and creamy. Taste and add another cap full of vinegar if needed and whisk until well combined. Serve a dollop of homemade sour cream on your favorite dish. 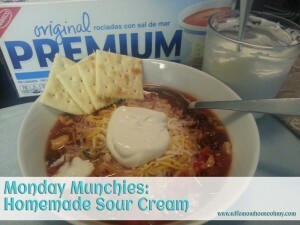 I served my sour cream on my homemade chili to rave reviews of everyone. 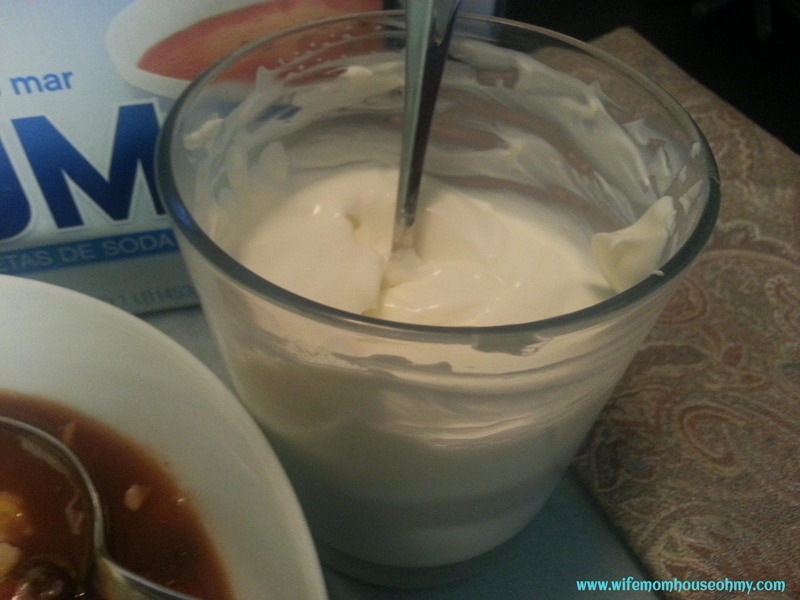 Never again will I be without my sour cream…actually I preferred my homemade sour cream to the store bought kind. If you have a homemade trick for a missing ingredient, I would love to know. Please leave me a comment below!